On Wednesday, April 8, First Lady Michelle Obama said Americans need to do more to ensure Native Americans overcome the ravages of the trauma they have received in the past few centuries. While acknowledging that many of the social ills present on today’s reservations, she asserts that the country as a whole participated in creating those ills and they must participate in the solution. “Folks in Indian Country didn’t just wake up one day with addiction problems. Poverty and violence didn’t just randomly happen to this community. These issues are the result of a long history of systematic discrimination and abuse,” she told the audience. In the speech, Michelle also described meeting with a group of young people from the Standing Rock Sioux Nation. Each of the Native youth faced their own set of obstacles: watching loved ones fall into drug abuse, struggling to balance school with homelessness, and even experiencing the loss of classmates to suicide. 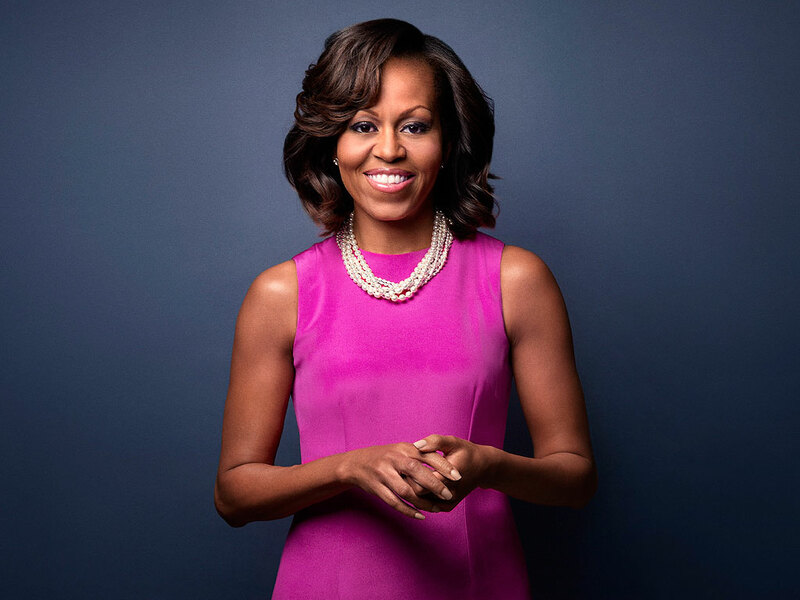 Still, Michelle said, the kids stood persevered , working to create better lives for themselves, their loved ones, and their tribe. Ms. Obama presented a picture of Native history often neglected by mainstream discourse–from forced relocation and abuse within Native boarding school programs to laws stripping Indians of their right to celebrate culture, heritage, and religion. “Given this history, we shouldn’t be surprised at the challenges that kids in Indian Country are facing today. And we should never forget that we played a role in this. Make no mistake about it–we own this,” stated Ms. Obama. Michelle’s call to action comes as yet another display of the Obama administration’s dedication to uplifting Indian Country and restoring what has been taken from them along the United States’ bloody warpath of oppression. The Lakota People’s Law Project’s mission follows the same thread of preservation, touched on by the First Lady. We are dedicated to conducting research and outreach in order to connect with Natives and facilitate the changes to build sovereignty and tribal capacity. In particular, we are working towards autonomous, tribal-run family services that will prevent Native children from being removed from their families and tribes to be put in non-Native foster care as a form of revenue for the state of South Dakota. Reblogged this on Blissfully Single. What a horrible, un-American attitude you have! Leave it alone??? The truth has never been told. How the settlers came here and murdered and raped killing babies it’s our indigenous Holocaust. Educate your self oh yea how can you if the truth has never been told!!!! Then why don’t u do something about it instead of being so critical, ppl were killed for no reason my great grandmother was shot in the head bcs all she wanted to do was go home. Get a life. Any life. About time someone at Washington’s governmental realizes these serious issues. Thank you Ms. Obama, I would volunteer to help you. Please help free Leonard Pettier!! Bravo for Mrs. Obama! After centuries of ABUSE and NEGLECT, after treating the original and lawful owners of North America like zoo animals, sending them to “Reservations” and trampling over all vestiges of human rights, this First Lady is starting to create awareness of the plight of the Native Americans. The time is NOW to give full support to all these TRUE Americans! Yes, African Americans have been abused! But Native Americans have been abused too, and nobody has stood up for them. Nobody has publicly recognized their sacred place and due respect in our history. It had to be Mrs. Obama! Bless her! Shes a racist. Thats all. I am English but live from an early age in Argentina, South America. Here the Argentine native: Mapuches, Ranqueles, Toba, Qom, etc. have no reservations, have achieved in the last years they were returned land pertencian them and could demonstrate that lived there before they were usurping their land in the genocide in 1879 called “desert campaign” that’s really not desert lands are very similar to those of South Dakota. Not so in northern Argentina in Jujuy where the native population is 85%. Excellent work that is conducting the first lady Michell Obama. I’m glad and I wish many things are achieved for children and adults. When people have future projects and when all are considered equal contemplated suicide he leaves the minds of the most jovenes. Congratulations !!!!!! If that is so then why do the state of hhs can play around with someone who is native rights n keep her kids from her n family members? Why can’t I ever get my story out OF WHAT GRAND ISLAND, NE HHS N COURT ABUSED MY RIGHTS N KIDS N THEM NOT KNOWING THEIR BIOFAMILY, N WHY 5 YEARS NOW..SO CAN U TELL N ANSWER my questions..
What the HELL she know .she spent 44.4milllon on vacation.must be nice. Rafael, you do know that there have been other Presidents, right? You know they had wifes too? And did you know we had to pay for their vacations as well? Did you know its Michelles JOB to visit other countries on behalf of our government? It’s called representing the Country. Have you thought about taking a literacy course to learn how to express yourself in an intelligent way, because your written statement looks like a six year old wrote it.